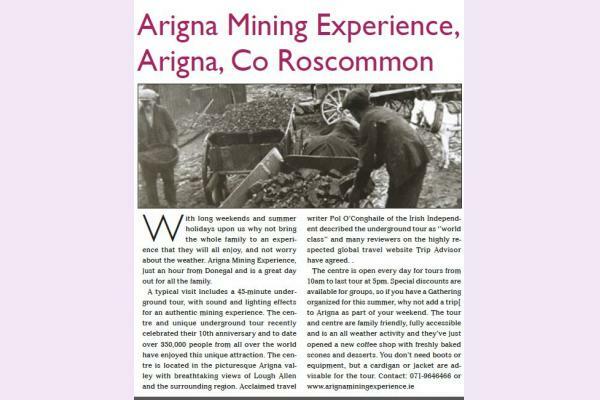 The Arigna Mining Experience will certainly appeal to those with an interest in history or anyone looking for a day out with a difference. 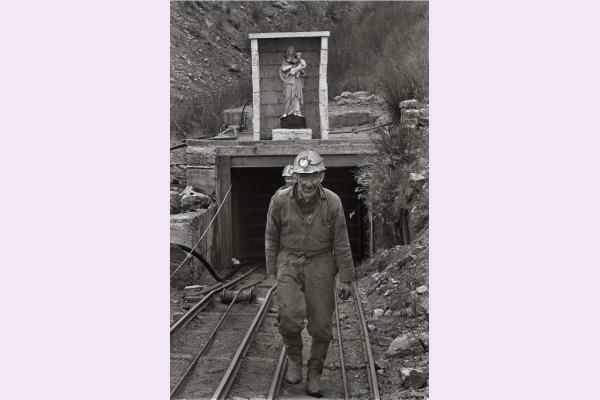 Now a popular tourist spot, the centre allows visitors an insight into coal mining life in the Arigna Valley from the 1700s until its closure in 1990. 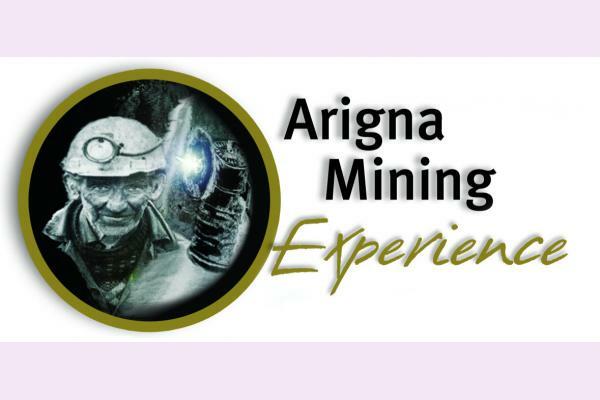 The Arigna Mining Experience has welcomed almost 200,000 visitors since it opened in 2003. 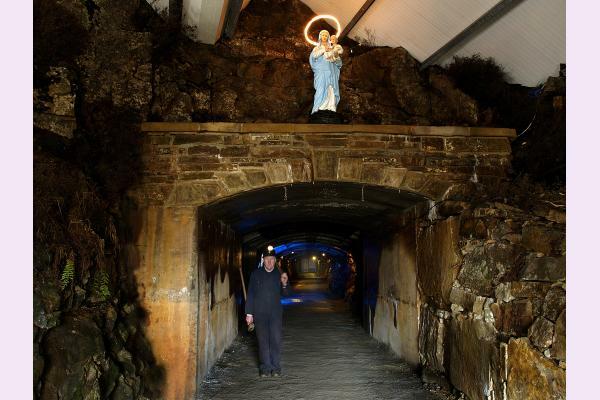 A typical visit includes a 45-minute underground tour with an ex-miner as your tour guide, the tour brings visitors to the mine’s coalface where the methods used to extract the coal are demonstrated. 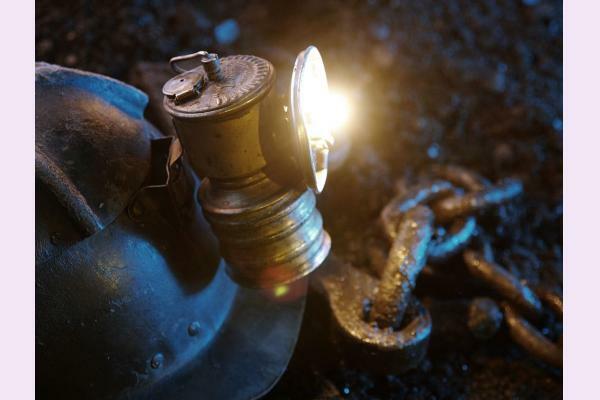 The authentic lighting and sound effects throughout the mine add to the reality of the experience. There is also a DVD presentation, an exhibition area where local geology and the formation of coal deposits is explained and there is an excellent photo archive on show. There is a talking telescope which will give the visitor a commentary on the seven surrounding counties which can be viewed from this scenic location. The center has a coffee shop, the underground tour is fully accessible and is an all weather facility and is open 7 days a week, all year from 10.00-17.00hrs daily. 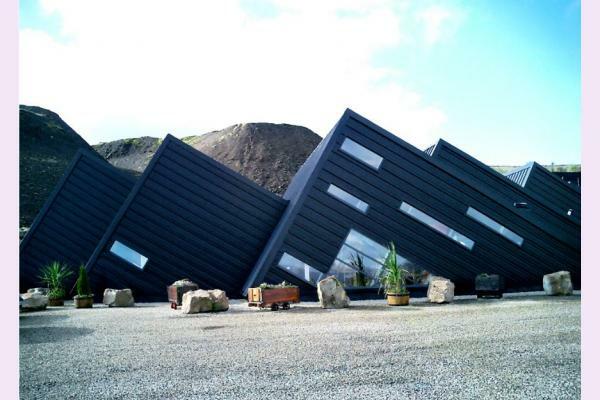 "For an authentic mining experience. 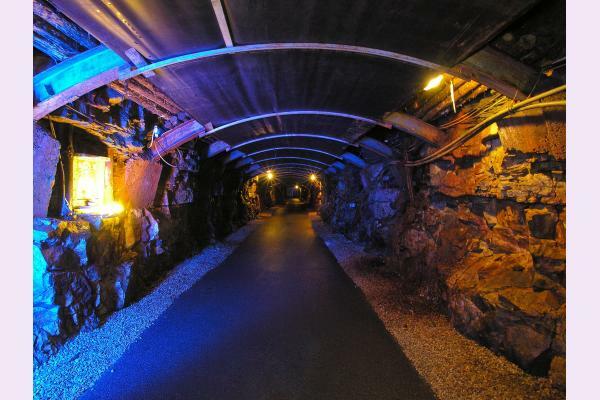 The centre and unique underground tour recently celebrated their 10th anniversary and to date over 350,000 people from all over the world have enjoyed this unique attraction. The centre is located in the picturesque Arigna valley with breathtaking views of Lough Allen and the surrounding region. 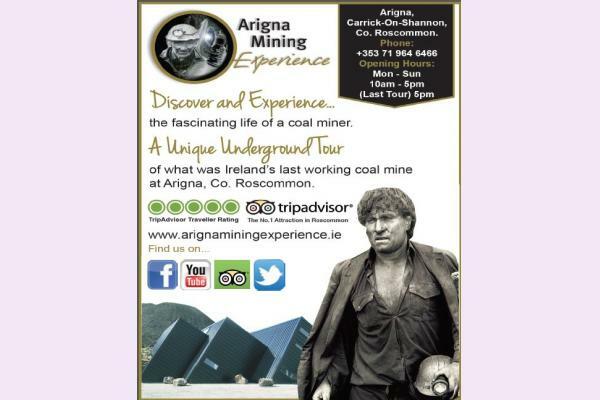 Acclaimed travel writer Pol O’Conghaile of the Irish Independent described the underground tour as ‘’world class’’ and many reviewers on the highly respected global travel website Trip Advisor have agreed. 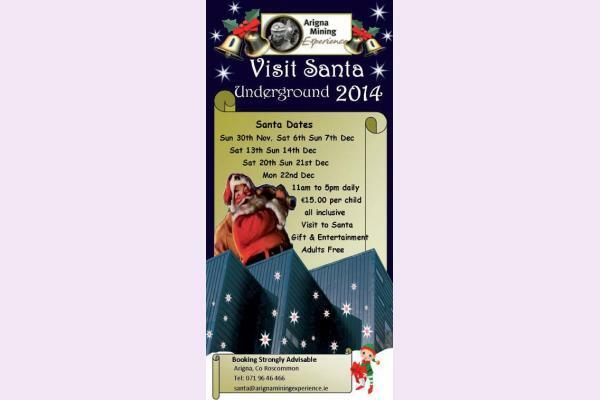 The centre is open every day for tours from 10am to last tour at 5pm. Special discounts are available for groups. The tour and centre are family friendly, fully accessible and is an all weather activity and they’ve just opened a new coffee shop with freshly baked scones and desserts. You don’t need boots or equipment, but a cardigan or jacket are advisable for the tour. Contact: 071-9646466 or www.arignaminingexperience."